Delicate and easy to wear, this classic gold-plated set makes an ideal gift ora treat for your own jewelry box. It includes a pair of pierced earrings and apendant on a chain. 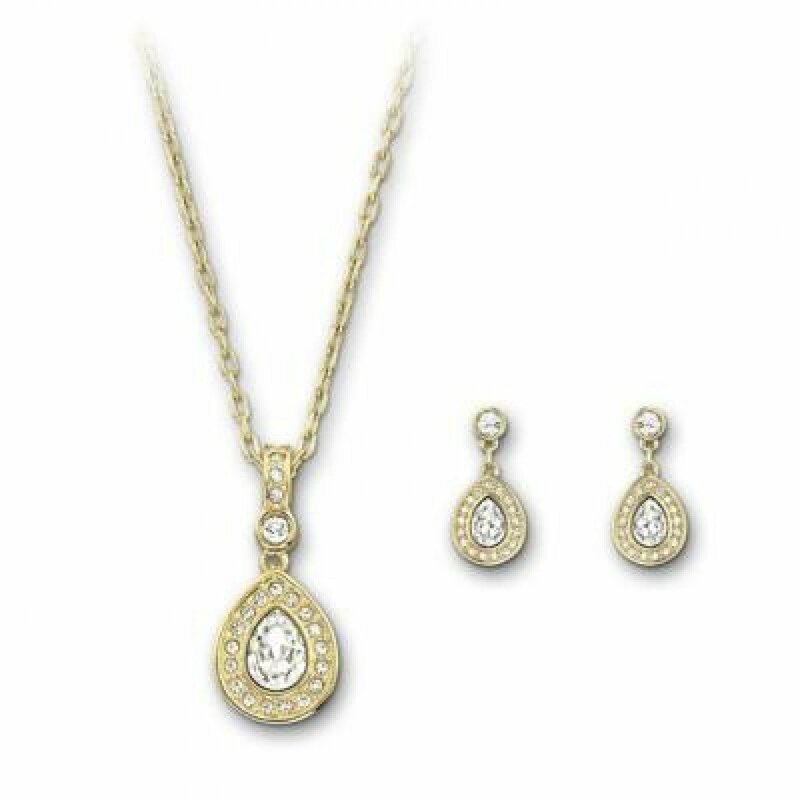 Each piece presents a pear-shaped clear crystal framed inclear crystal pave. Measures 15 5/8" / 3/4"